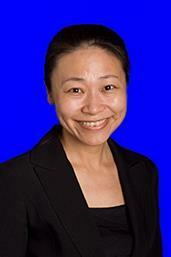 Jian Cao is an Associate Professor of Accounting at the Florida Atlantic University College of Business. Jian teaches the core accounting course in the MBA program and a doctoral seminar on capital markets research. She previously taught financial analysis, intermediate accounting, and managerial accounting at the undergraduate level. Jian’s area of research is on capital markets, specializing in the examination of securities analysts, investor and managerial behavior. She has conducted broad-based research in these areas, including a focus on the interplay between securities and tax law and the capital markets.